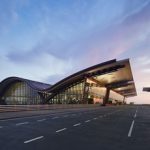 Hamad International Airport (HIA), Qatar’s Five Star Airport has announced strong year-on-year growth in passenger numbers and cargo handling from January to June of 2017, making it its busiest six month period yet. The airport served 19 million passengers from January to June 2017, 8 per cent more than those served in the same period in the previous year. 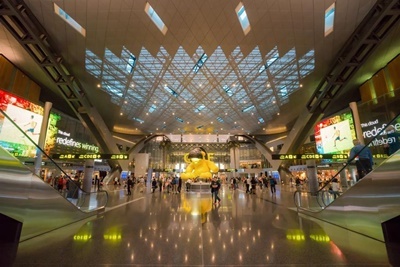 This includes departing, arriving and transfer passengers traveling through the airport. With 980,000 tonnes of cargo handled by the airport from January to June 2017, HIA’s cargo operations grew an impressive 19 per cent compared to the same period in the previous year. Engr. Badr Mohammed Al Meer, Chief Operating Officer at HIA, said: “Our growing passenger figures and cargo operations are a testament to our resilient and sustainable airport operations. “Our promise of operational excellence is at the core of our business. HIA is a robust organisation backed by a committed and hardworking team. Together, we have promptly and successfully prioritised our passengers by offering them our Five Star services and a hassle-free travel experience,” Engr. Al Meer concluded. HIA has met a number of significant milestones in 2017 including being classified as a 5 Star Airport by Skytrax, making it one among only five other airports in the world to achieve this status.